Eidy Gaspar is one of several temporary workers who filed a class action lawsuit against Staffing Network, a temporary staffing agency, for allegedly violating multiple state employment laws designed to protect temporary workers. Editor’s Note: Over the next few days, we’re running our favorite Reporter stories of 2014. This story was originally posted on April 9, 2014. Eidy Gaspar was surprised when her manager said she wouldn’t be paid overtime anymore. 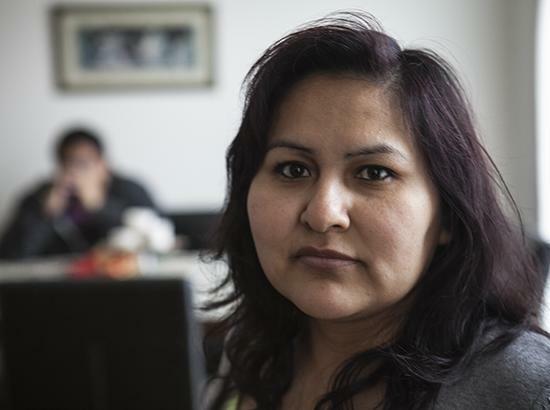 Gaspar, a warehouse worker in suburban Chicago, didn’t object because she feared being blacklisted by the temporary agency that hired her: Staffing Network, one of the largest hiring agencies in Illinois. The mother of three worked full-time in the warehouse for six years packing books to be shipped to retailers like Target and Walmart. But when she wasn’t paid for her regular 40-hour work week, she confronted her manager. He shifted the burden of proof to her, according to a class action lawsuit she filed in August 2013 against the warehouse and Staffing Network. The class action lawsuit is among three filed in the past three years in the 7th U.S. District Court accusing Staffing Network of violating wage laws. The company has also been sued in county court. In 2006, the hiring firm settled a lawsuit in Cook County Circuit Court alleging that it didn’t pay workers overtime, charged them illegally for transportation costs and failed to keep payroll records. Three years later, the company agreed to pay $400,000 to 10 workers, more than $133,333 in attorney’s fees and an additional $22,300 for other temporary employees, according to the settlement. Staffing Network says it’s being singled out by labor advocates. The temp agency is part of a fast-growing sector of the staffing industry that dominates the low-wage labor market, exploiting the most vulnerable and hard-to-employ workers, say labor advocates. As employers increasingly turn to the agencies for hiring flexibility, lower benefit costs and a steady supply of cheap labor, experts say that more low and unskilled workers will have fewer opportunities to pull themselves out of poverty. Many of the workers are African Americans and Latinos, and several are undocumented and ex-felons. Undocumented workers are told they don’t have rights, while workers with a felony record are told no one else will hire them, said Tim Bell of the Chicago Workers Collaborative, which helped Gaspar file the lawsuit against Staffing Network. The unspoken rule is that if employees complain, they won’t be hired, he said. In recent years, the staffing industry has evolved from a boutique service to a sector of its own, according to a 2012 University of Illinois at Chicago study entitled “Selling flexibility: temporary staffing in a volatile economy.” That shift is clear in Illinois where the number of temporary workers increased by 30 percent between 2001 and 2011 to 179,890, according to the U.S. Census. Nearly four out of five employers use some form of temporary staffing arrangement nationally. That number is expected to grow, according to a report by the U.S. Bureau of Labor Statistics. Changes in the economy and the workforce are driving the growth. Employers like the flexibility staffing agencies offer, the wages are lower and they don’t incur benefit costs. The industry’s growth has also been bolstered by the rising number of unskilled workers who are forced to work for less. When Houseman compared a sample of welfare-to-work participants in Michigan, she found that direct hires significantly improved their wages and were likelier to escape poverty. On the other hand, temp workers were stuck in a revolving door between work and welfare. There are many types of temporary staffing agencies, she said, but those agencies that provide low-skilled workers tend to rely on workers with felony convictions and undocumented immigrants. Despite state and national laws that protect workers, several hiring companies including Prime Staffing, Staffing Solutions Southeast and Paramount Staffing have been sued for allegedly violating minimum wage and overtime compensation laws. Other staffing agencies hire contractors who charge workers between $6 and $8 a day for transportation services and debit card and other fees, according to the lawsuits. 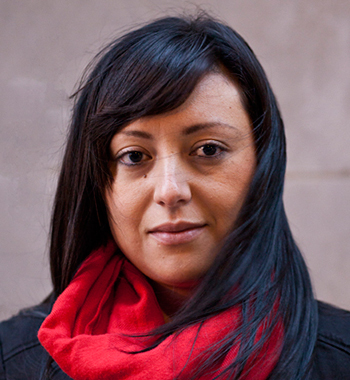 In 2003, City Clerk Susana Mendoza, then a state representative, introduced a bill to regulate the staffing industry. Three years later, Illinois legislators passed the Day and Temporary Labor Service Act, which requires the agencies to document payroll logs for their employees, pay workers at least four hours for each assignment and stop charging them for rides to work and other so-called services. Illinois is one of a few states with strong protections for temporary workers. But the law means little if workers don’t invoke it. Gaspar said most of her coworkers were Latinos who didn’t speak English or know about U.S. labor laws. Instead of trying to retrieve their wages, they looked for other jobs, she said. Advocates say even when workers report wage abuses to the Illinois Department of Labor they don’t see much benefit from it. The agency wouldn’t turnover wage claims for the past five years. But it released a sample of 51 claims filed between 2010 and 2013. Half of those complaints against temporary staffing agencies were dismissed after the labor department lost contact with the workers, according to records. Advocates said that’s not surprising, given that many low-wage workers tend to move frequently. The enforcement agency said these records only reflect a snapshot of the claims filed under the Day and Temporary Labor Service Act. Of the $25,291 in claims filed with the state labor department, only $7,872.47 in back wages was recovered between 2010 and 2013, according to records. The processing time was long—on average it took about six months to process the wage claim. For many of these low-wage workers, it’s easier to find a new job than wait to recover owed wages, said a Chicago temporary worker who didn’t want to be named for fear of retaliation. That’s a risk many undocumented workers take if they want to work, she said. The state allows staffing agencies to pay workers using “payroll cards” but only under strict guidelines. Aside from making sure employees agree to this form of payment, companies are required to provide an itemized statement of hours worked, rate of pay and deductions for each pay period. Eclipse staffing didn’t ask Gutierrez if he wanted to be paid with the card and didn’t provide documentation of the hours he worked, according to a class-action lawsuit filed against the agency. Warehouse Workers for Justice, an advocacy organization, helped Gutierrez and other workers file the lawsuit. Unlike some of his co-workers, he didn’t stay quiet. Gutierrez contacted the Warehouse Workers for Justice to get help then. He later joined a group of another six workers in a class action lawsuit against Eclipse and Mid-West Temp group for failing to pay them minimum wage and failing to pay for all the hours worked, according to the lawsuit. Eclipse did not respond to requests for an interview. This growing sector is riddled with wage violations, said Leone Bicchieri, executive director of the Chicago Workers’ Collaborative. The staffing agencies are trying to get contracts with warehouses and factories, and the agency with the lowest bid gets the contract. That’s the real problem, Bell said. Without it, vulnerable workers will continue to tolerate wage abuses in order to keep working, he said. Since 2006, Cook County taxpayers have spent $778 million locking up people on low-level drug possession charges. One out of three drug cases are dismissed, which means users are released from jail without treatment, only to return on similar charges weeks or months later. New data from the City of Chicago Independent Police Review Authority show African Americans show people of color are much more likely to be shot by a Chicago police officer than white counterparts.